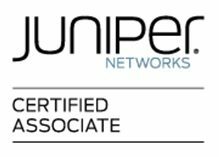 JNCIA-Junos (Juniper Networks Certified Associate-Junos) is the first Certification of Juniper in Enterprise Routing and Switching. With JNCIA-Junos trainning, you learn Networking Basics, Routing and Switching Protocols, TCP/IP, Ethernet and More. Beside, you gain Basic Hands On Experience on Juniper Routers and Juniper Switches. What Will You Learn in JNCIA-Junos Course ? To Pass JNCIA Exam at the First Attempt and Not To Lose Time , You Can Take Our JNCIA Course! Hey Buddy!, I found this information for you: "JNCIA Junos". Here is the website link: https://ipcisco.com/course/jncia-junos/. Thank you.